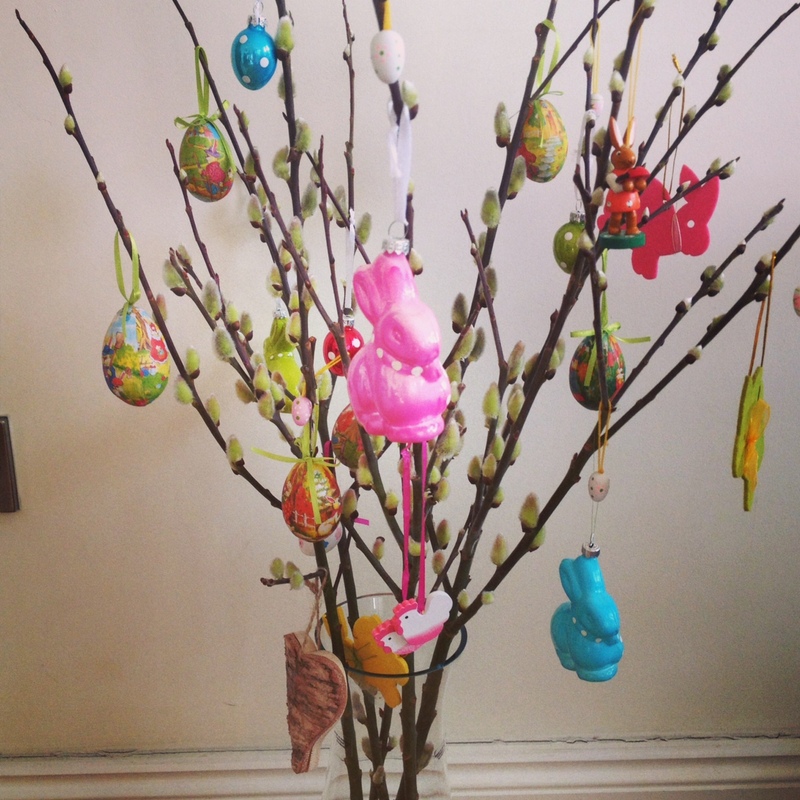 Frohe Ostern…Happy Easter! How Does Germany Celebrate Easter? One quickly learns that “the church” is taken very seriously in Germany. A look through history books, you can understand why?! Germany, the area where Martin Luther posted his thesis against the Catholic Church starting the Protestant Reformation. Germany, the land where many significant battles (yes, battles) between Protestants & Catholics during the Thirty Years War occurred. Germany, where the Holy Roman Empire held its most northern territory centuries ago. Germany, where the Ottoman (Islam) Empire was fought back. So, it is no wonder why many things associated with the church are taken very seriously in Germany, even to this day. For instance, Sundays are considered holy days, and everything is closed (except some gas & train stations). Therefore, it is no surprise that many of the customs associated with the two most important Christian holidays of Christmas & Easter that are performed in the US, have their origins in Germany due to the immigration of many Germans in the 18th Century. Of course, these traditions are not associated with the Bible, as the Bible holds true to the Easter story of the death and resurrection. The traditions rest more in the traditions started before Christianity took a stronghold in Germany, as they were geared more to the end of winter and the beginning of Spring. This, as you can imagine to people 1,000+ years ago was very important to hope/wish/pray for a fruitful Spring, to give them the food, to make it through the next long, hard winter. Easter is not commercialized in Germany like it is in the States, therefore one can appreciate the true symbolism that is the Easter Bunny here and not try to debate its purpose in the context of a religious holiday. 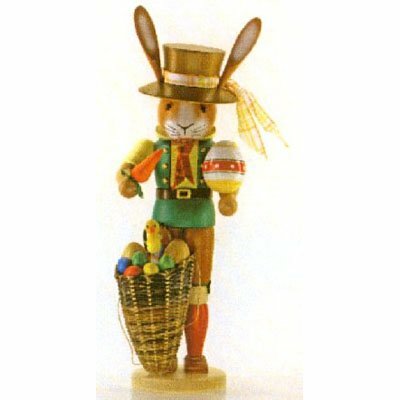 What follows are some of the Easter Traditions today in Germany (at least in the part of Germany I live, the Southwest region), and see how similar they are to the many traditions of Easter in the States that we know. For example, in northern Germany, bonfires are set on Easter Eve, but not performed here. Easter Bunny & Easter Eggs: How did this develop that a rabbit brought eggs? The period before Easter is Lent, and for those not familiar with Lent, this is a time period before Easter where people will fast or give up a certain food or luxury item (for those that practice Lent, please forgive me for simplifying it here). In the Middle Ages, this time period also coincided with time periods when taxes were due to the land owners. Since eggs or meat were typically not eaten during Lent, the abundant supply of eggs and rabbits that were in their fields were given as payment. This is how the association of eggs and a bunny became connected to Easter. The eggs were sometimes cooked and painted with bright colors to signify the beginning of Spring, and the bunny endured as a symbol of fertility. Over time, the tradition of painting eggs developed to symbolize resurgent life in Spring. And, this symbolism carried over to hanging eggs on tree limbs before the leaves bloomed, a signal the Spring has arrived. In the 1600s, the Pope proclaimed in a prayer that the egg was a symbol of the resurrection, and new life, and this began the connection of the tradition to religion. As with most celebrations, games and activities around the Easter eggs developed: egg rolling, hiding & finding, tossing games, etc. Many of these originated in Europe and were brought to the States. Of course, with chocolate being very popular here, it did not take long for chocolate makers to begin making versions of bunnies & eggs from chocolate that have become synonymous with Easter. A unique tradition in this part of Germany that I have not seen in the States is Osterlamm (Easter Lamb) cake. 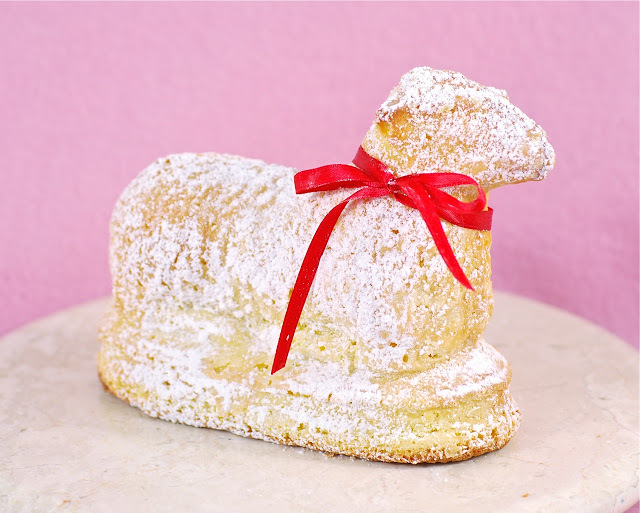 A cake in the shape of a lamb, being a strong religious symbol, is made as a dessert. The cake tastes more like a cookie and is dusted with sugar on top. Of course, the main reason of Easter is not a bunny, eggs, chocolate, etc. And my early morning walk with our dog Barney reminded me of that as we could hear literally dozens of churches ringing their bells as we walked along the Rhein River. I sat on a park bench, closed my eyes, and imagined the hundreds of hundreds of years those same bells must have rung on this morning. It was a bit of a surreal moment. With that…..Frohe Ostern…or Happy Easter to everyone!